A Nairobi businessman linked to the demolition of a house worth Sh55 million in Westlands, Nairobi was arraigned in court on Wednesday. 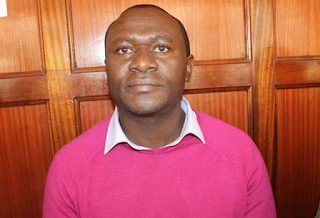 Francis Nyaga Njeru of Frank Logistics came before the Milimani Senior Resident Magistrate Hellen Onkwani under a miscellaneous application by the prosecution. Through lawyer Lindsey Mugambi, Director of Public Prosecutions Keriako Tobiko had wanted Mr Njeru detained for 7 days to complete investigations and prefer charges but the magistrate, however, declined the prosecution request on the basis that they improperly served the court documents in that they had no signatures and was released on Sh300,000 cash bail. The magistrate ordered Mr Njeru to appear before the National Land Commission (NLC) to reveal more on the ownership of the property, which was pulled down on Sunday. Meanwhile, as he investigations and arrest was going on, Nairobi Senator Mike Sonko called Mr Njeru who is his friend to warn him not to continue with his land grabbing otherwise he will take serious action. Through a phone conversation that has since been shared on social media, Sonko had an argument with Frank which led to Frank calling him a Dog. The case will be heard on December 9.